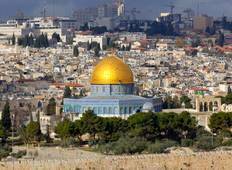 Find a Historical trip that explores Egypt And Israel. There are 17 tours to choose from, that range in length from 3 days up to 29 days. The most popular month for these tours is October, which has the most tour departures. "It was a fantastic experience! The best trip experience. I want to express my absolute..."
"This was an incredible, trip of a lifetime. 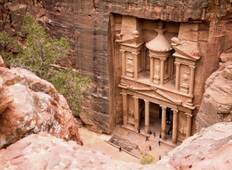 The itinerary is jam packed but the sites..."
"The Mediterranean 17-day tour to Israel, Jordan and Egypt was extraordinarily fun,..."
"I booked 13-day tour of Israel Jordan and Egypt tour. I had lot of question which..."
"Overall a wonderful experience and good value for money! Small group size, clean..."
"Excellent tour! I have already recommended it to my friends.Thank you!"